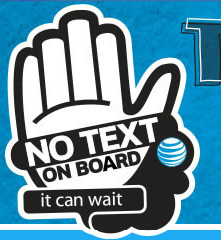 'It Can Wait' Giveaway: Win A Galaxy S III From AT&T And Android Police - And Don't Text And Drive! Winners Selected - congratulations to [DC]_MAKER! Want a chance to win a brand-new Galaxy S III from AT&T and Android Police? Today, you can! 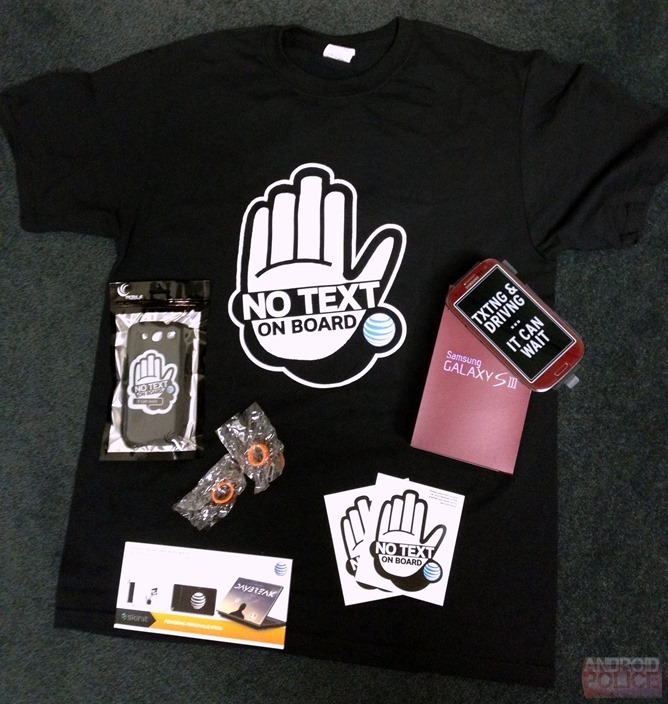 As part of the 'It Can Wait' campaign, we're giving away a red AT&T Galaxy S III complete with an anti-texting and driving accessory pack. Texting and driving is bad. You shouldn't do it. AT&T agrees, and to date, they've managed to get over a million people to sign a pledge promising not to text and drive. It may sound a little trivial or silly, but texting and driving maims - and even kills - far too many people. In the US alone, 100,000 texting-related accidents occur every year. Looking away for even a couple seconds while on the road at speed is dangerous. Looking away with one hand on the wheel, while your focus is on hitting a tiny little virtual key? That's potentially lethal. A few years ago, I was involved in a collision that occurred because I was mentally distracted, and luckily, both I and the other driver walked away without injury - though my car was totaled. I've been a lot more cautious since, and realize I was extremely fortunate that it didn't end worse. Don't text and drive, and don't drive distracted. Remember, you're operating a high-speed, multi-ton piece of machinery - not a bumper car. You can also check out the 'It Can Wait' texting and driving simulator, which shows you the consequences of texting while driving. Entering is simple - just leave a comment on this post, and record your entry in the Rafflecopter widget below. This contest is for US residents only. The contest ends at midnight on Friday, December 14th.